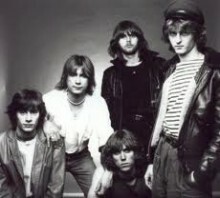 Intermezzo was a Swedish group from Huddinge (Stockholm), active 1979-1982. Among the members were Orup, Ib Frandsén and Fredrik von Gerber. Swedish Toolex Alpha label test-pressing 7"